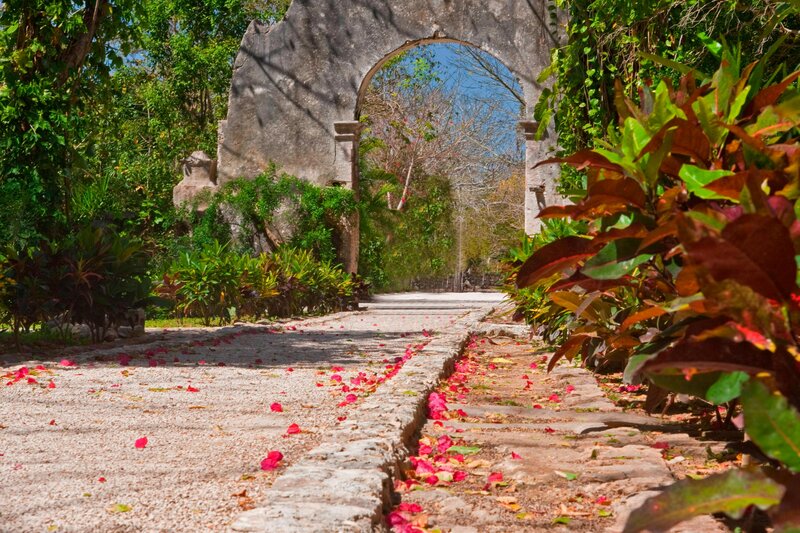 Magical walkways of gracefully cut flower arches and dirt pathways welcome you to Hacienda San Jose. Exquisite colors pop at every corner of the hacienda, making days brighter and nights more mysterious against the flickering of candles. 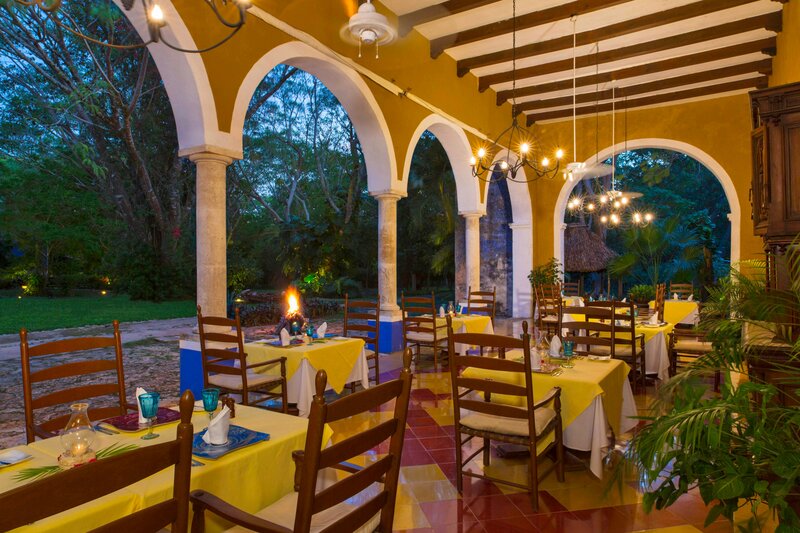 Located in the northern Yucatan peninsula, this historical plantation house is close to the Chichen Itza archaeological site and exudes an atmosphere of the past. 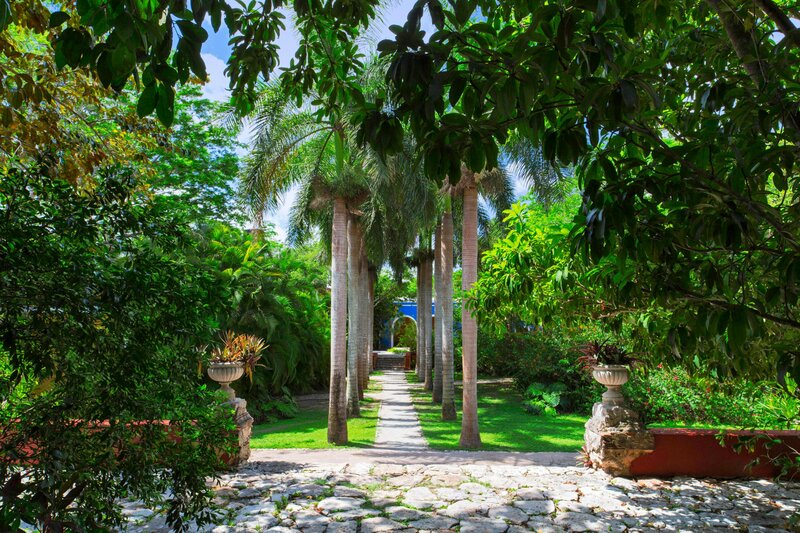 Your stay at Hacienda San Jose will embrace historical aspects of our culture while maintaining world-class luxury of the finest facilities. Spend a morning by our elegantly constructed outdoor swimming pool amidst tropical greenery and flora and rest under the lustrous sun in one of our native hammocks. Guests can enjoy our outdoor pool, spa treatments, bicycles, private tours guided by archaeologists, historians and field experts, cooking classes with celebrated chefs, swimming and dining in total privacy. We offer diving in Mayan sacred cenotes and more customized travel experiences. Most of our guest rooms feature 18-foot ceilings with exposed beams and rafters, 10-foot wooden double doors, beautiful wooden beds, dark, tropical hardwood cabinets, and cool tile floors. Additionally, large, bulbous pegs in the stonewalls hold woven cot. World-class dining complements the alluring destination with six distinct dining venues offering sophisticated cuisine from around the world. 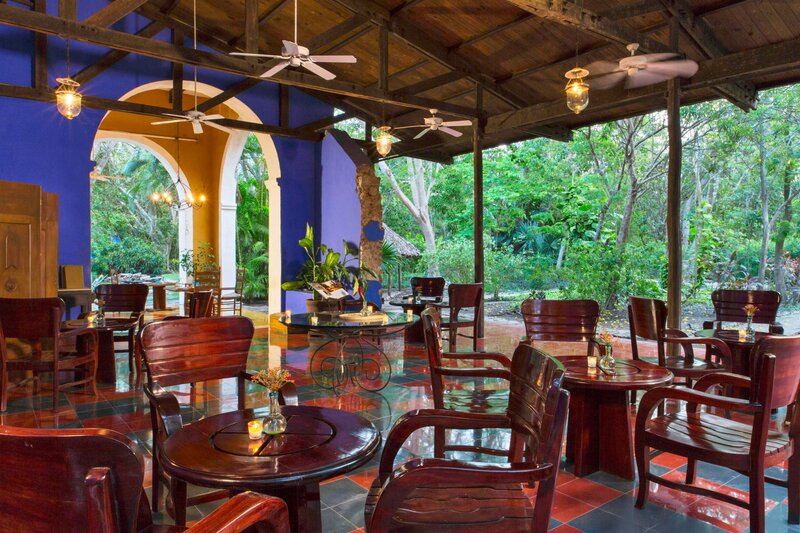 Hacienda San Jose&apos;s restaurant is located within the old factory buildings and overlooks the breathtaking main gardens. 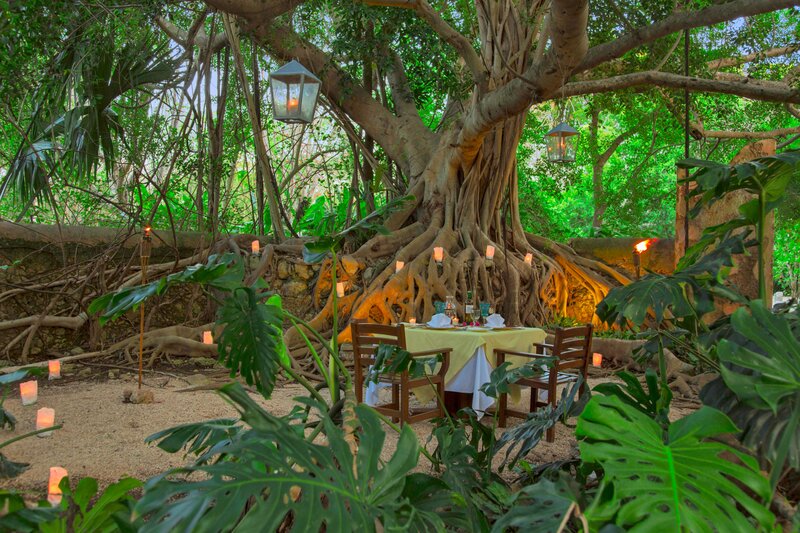 The menu proposes a blend of regional and international cuisine masterfully prepared by our chef, Alexis Can, that has be designing special dishes using organic ingredients taken from our orchards.